This screen is accessed by selecting from a customer's Customer Activity window. 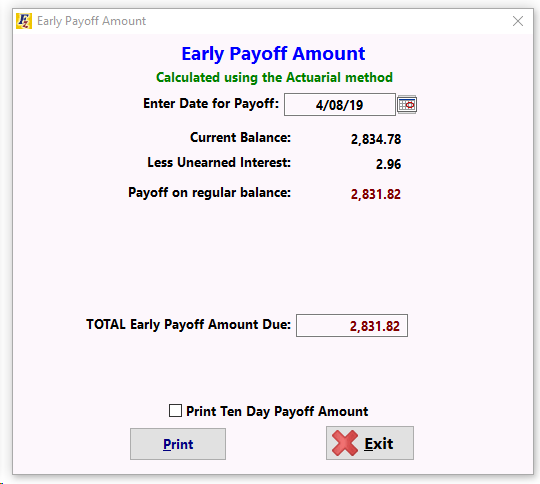 The Early Payoff Amount window is a printable break-down of how an early payoff is calculated on a Pre-Computed Interest deal. For a Simple Interest deal, the early payoff is equal to the Total Amount Due on the main account window.